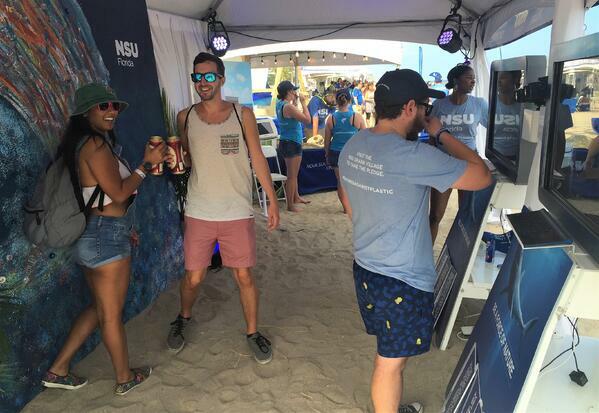 This weekend JC Colón and his TapSnap team in Fort Lauderdale worked with NSU Florida to create a photo booth experience festival goers could really sink their teeth into, at the 3rd annual RipTide Festival. The photo activation took place at Fort Lauderdale Beach, Florida, running over the course of 3 days. 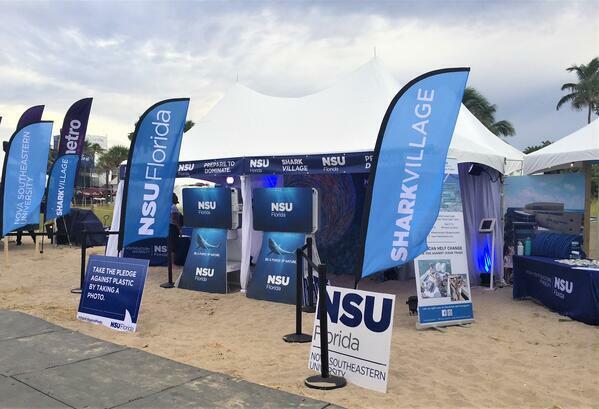 Our photo booths with custom NSU branded wraps and the Sharing Station, were right on the sand as the centerpiece of 'Shark Village', proving that there is no location a TapSnap photo booth won't fit into perfectly. 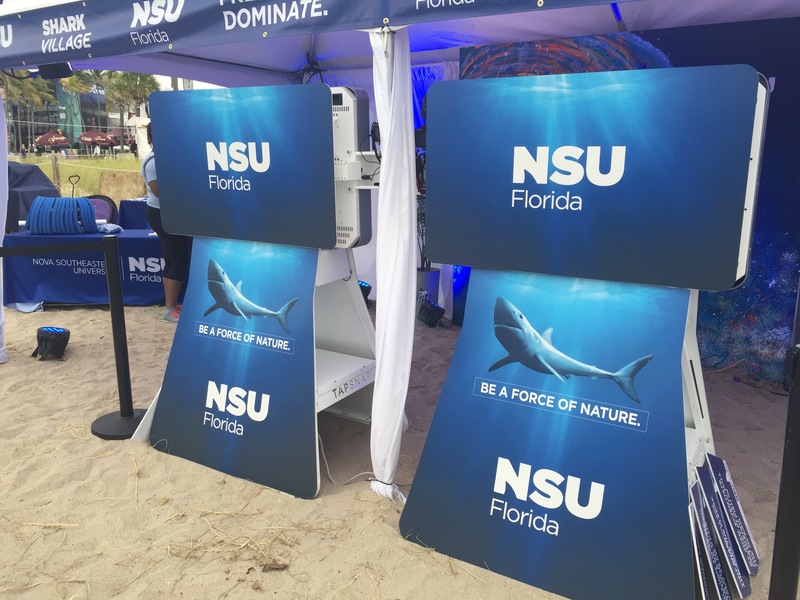 TapSnap and NSU Florida were working in conjunction with The Guy Harvey Ocean Foundation to ask photo booth guests to take a pledge to help end ocean pollution. Their admirable goal is to increase proper recycling, and ensure plastic stops ending up in our oceans! 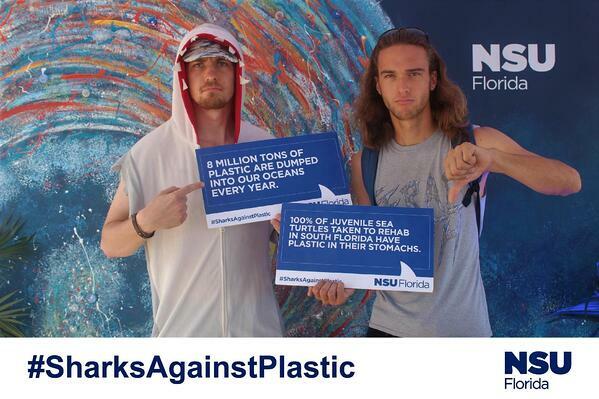 The custom photo booth props consisted of signs with information about how plastic pollution is affecting ocean life, and the backdrop was a stunning mural created by an NSU student. 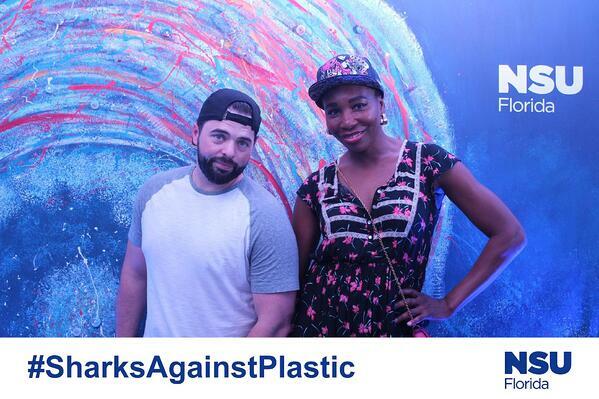 The event went swimmingly, with the 2 photo booths taking over 1,500 photos, and the guests avidly sharing their photos on social media with the hashtag featured on the photo border, #SharksAgainstPlastic. The festival organizers arranged for any photos using either the #riptidefest18 or #sharksagainstplastic hashtags to show up on the festival jumbotron. Needless to say, TapSnap had about 75% of the photos up on the jumbotron all weekend long. The manager of RipTide Festival even stopped by to tell JC and his team that they were consuming the jumbotron with their photos, and that NSU's idea to use TapSnap was a grand slam idea! And speaking of Grand Slams, tennis pro Venus Williams popped by the photo booth on the final night of the festival! She posed for two photos in the photo booth, and was totally blown away with our capability and set up. This blog is just a drop in the ocean of all the Jaws-some events we service. 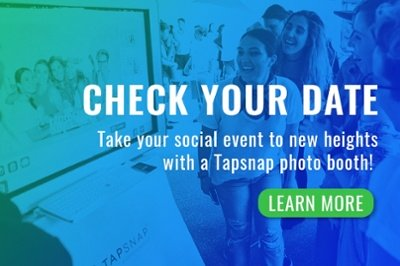 To follow what we get up to follow our social media accounts @TapSnapShare !